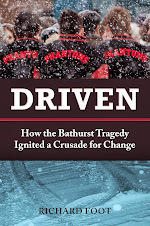 On January 12, 2008, seven high school basketball players and a coach's wife were killed in a horrific collision near Bathurst, New Brunswick. The pre-Electronic Stability Control (ESC) 1997 FORD E-350 15-passenger van the team was travelling in collided with a tractor-trailer. On that stormy winter night, eight people died: Daniel Hains (age 17), Javier Acevedo (age 17), Codey Branch (age 17), Nathan Cleland (age 17), Justin Cormier (age 17), Nickolas Quinn (age 16), Nikki Kelly (age 15) and Beth Lord. 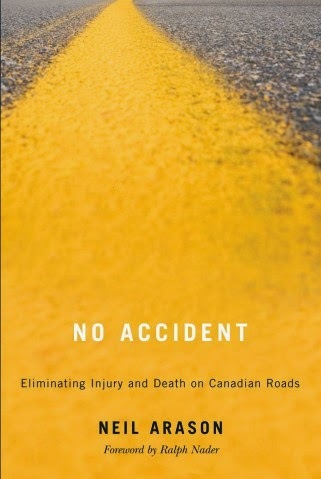 Eight months later, on September 25, 2008, a group of musicians on a cross-Canada tour were involved in a single vehicle rollover outside Brandon, Manitoba which resulted in the death of one of the passengers, Michael Benedetti Gurr (age 26). The five young men were travelling in a pre-ESC 1994 FORD E-350 15-passenger van at the time of the incident. Some of the mothers who had lost their precious sons in the Bathurst tragedy began to advocate for the safer transportation of students participating in extra- and co-curricular school activities in New Brunswick. Isabelle Hains, Ana Acevedo and other parents fought for an inquest and for the resulting Coroner's recommendations to be implemented in the Province. The 15-passenger vans are now banned for use in the transport of students in NB. In the fall of 2008, Isabelle Hains set up an information and advocacy website called VAN ANGELS (www.vanangels.ca). Transport Canada, the provincial jurisdictions, the car manufacturing industry and the Canadian public were starting to take notice of the mothers' determination to find answers to their queries, to initiate positive changes in student and small group transport and to pressure for government and industry accountability. On the west coast of Canada, another mother, Stella Gurr was now venturing down the same hard road as these New Brunswick mothers and also sought answers and accountability in the death of her son, Michael. Isabelle and Stella were naturally drawn together by their painful loss, a commonality of beliefs and the focus to bring the issue to a national level. It is now 2013 and the Van Angels' five year battle to ban 15-passenger vans for student and small group travel and provide public awareness to the inherent dangers of these vehicles has been a long, difficult and often frustrating journey into the world of government regulators and big business. There have been many accomplishments along the way and the group has successfully brought the issue onto the public stage. The heartache and tears... always.